It seems lately whatever is said most often and loudest is what morphs into the (perceived) truth. Just look at one thing, the definition and then the misinterpretation and misuse of the word "assault rifle", then ask yourself when are these words most often heard (taught) and what is the surrounding undertones of that entire selection of information provided? CENTURY AFTER CENTURY. GENERATION AFTER GENERATION. MEN AND WOMEN HAVE COMMITTED ACTS OF GENOCIDES AROUND THE WORLD FOR THEIR KINGS AND QUEENS. 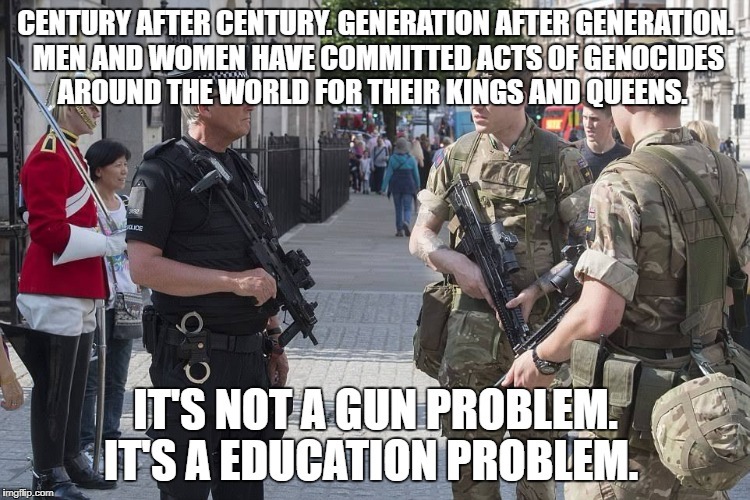 IT'S NOT A GUN PROBLEM. 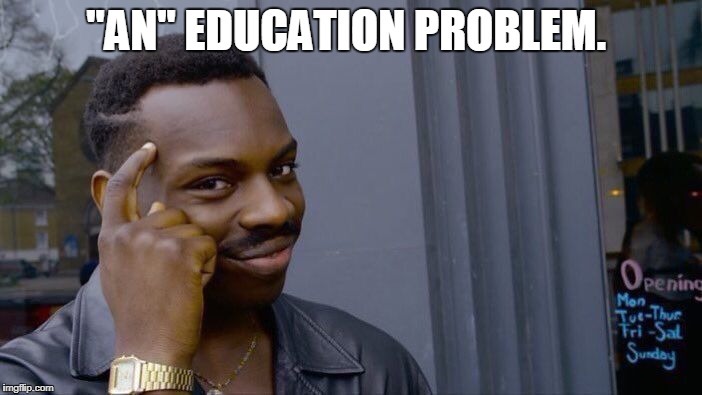 IT'S A EDUCATION PROBLEM.